Goodreads: With a rewarding career as a teacher, a near flawless husband, and the perfect house in the suburbs, 33-year-old Nicky Fowler thought her whole life was mapped out. When she and her husband experience fertility issues that lead to a devastating tragedy, their marriage crumbles and Nicky is left with the inability to cope with her ever-changed life. Desperate to flee from her current situation, she accepts a volunteer teaching position at an orphanage in Kenya, but finds that her new life is more difficult than she was expecting; drought has forced the country into famine and violence is everywhere. When she learns that the orphanage director takes her hatred for the world out on the orphans, Nicky seeks the aid of her host mother, Mama Bu. 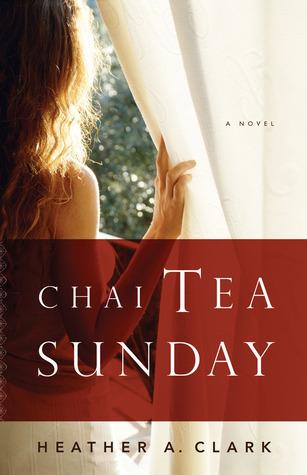 Over cups of chai tea, Mama Bu offers perspective and Nicky realizes she must not only teach the orphans, she needs to save them. This is a journey that explores the resilience of the heart, and the determination for finding good in the world. Kritters Thoughts: A heartwrenching story that went to a place that I did not expect. From page one the reader falls in love with Nicky, a young married woman who is trying all the possible ways to conceive a child with her husband. With a twist of fate she is pregnant and tragedy strikes. When it has become unbearable to pick up the pieces she takes herself across the globe to Kenya to work in an orphanage as a teacher. A story that begins with a couple trying to have a child and ends with a woman who is surrounded by many children who need the basics. I fell in love with the realness of Nicky. I felt her turmoil and as weird as it may sound I enjoyed her slow recovery, life didn't get peachy keen over night. Speaking of character development - the characters that she encountered in Kenya felt real and authentic, even though I have never been there, I feel like I could imagine the lifestyle. This story had depth with her recovering from her tragedy to finding out how the Kenyans operate and how she would have to mold herself to fit into this new culture. A piece of women's fiction that I would recommend to all kinds of readers. A story with heart and soul that any reader can easily get drawn into and may not escape until the last sentence ends. As I always say, I will not divulge any spoilers because this one is worth every page!